Lyft is great for getting you from point A to point B Riding A Lyft? Check Out Our 5 Rules For Communal Cabs Riding A Lyft? 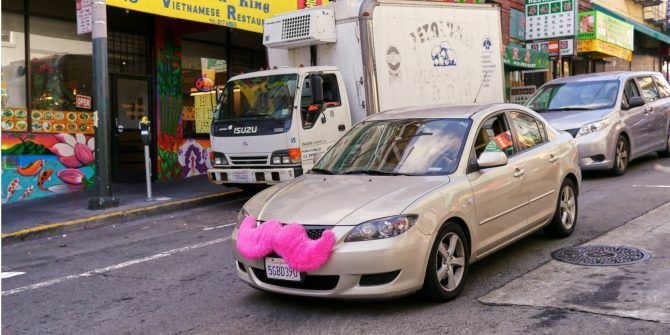 Check Out Our 5 Rules For Communal Cabs The Lyft service, which utilizes normal drivers in their personal cars with easily identifiable gigantic pink mustaches on their front bumpers, is growing as users are taking both the time to ride and drive. Read More . But a simple feature in the app also lets you get from point B to point C. With this feature, Lyft makes it easy to add multiple destinations in one trip. When ordering a Lyft, you can actually let your ride know ahead of time that you’re going to need to go to two locations. This makes it handy if you need to pick up a friend on the way out or if you want to share a ride with a friend on your way home. Tap Set pickup to start booking a ride. Tap Add destination to put in your first stop. Tap the plus button that appears next to the address you just added. Tap Add destination to put in your second stop. Once your destinations are added, you can reverse them if you’d prefer to switch out the order of arrival or tap Request Lyft once you’re ready to be picked up. Unfortunately, if you have a third friend waiting for a ride, you won’t be able to add an additional destination directly in the app. Unlike Uber, Lyft does not offer carpooling options, so this is the closest you’re going to get to sharing a cab with Lyft, and unlike Uber, it won’t save you any money. What do you think of Lyft’s multiple destination feature? Are there any changes or improvements you think it needs? Are there other features you’re dying to see in the Lyft app? Let us know in the comments.